The Sky EasyDrill will be demonstrated for the first time at the Groundswell event on the Roadshott field [stand D6]on 27thand 28thJune 2018. Visitors to the show will be able to watch the 6m EasyDrill cutting through cover crops in the demonstration area. The EasyDrill is specifically designed as a direct drill but works equally well in minimum tillage conditions, on consolidated ploughed soil and when drilling into cover crops. The drill can be fitted with up to three separate hoppers to allow conventional drilling to take place alongside fertiliser application, cover crop drilling or slug pellet application. An electric driven metering system allows easy calibration, accurate setting and variable rate as standard. 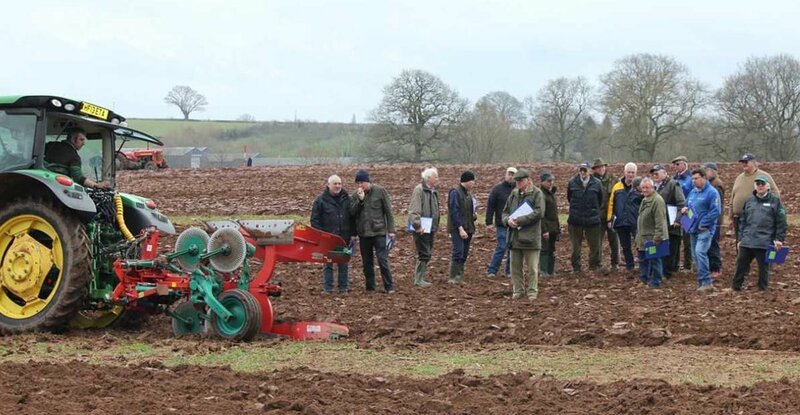 The primary seed is drilled using the disc coulter and the secondary product (often fertiliser) is applied by dedicated coulters in front of the press wheels. If an additional ‘pro hopper’ is fitted for a third product, this is metered for drilling into either the seed or fertiliser distribution systems. The use of two separate air circuits allows drilling at two different depths, providing accurate seed and fertiliser placement, targeting nutrition and maximising crop efficiency.